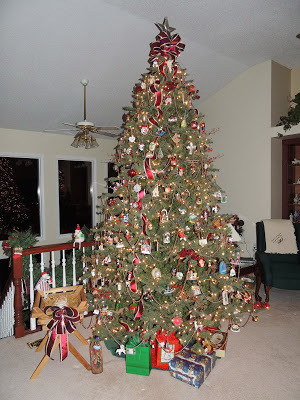 Many traditions surround the Christmas holiday. Below you will find one version of the meaning of the Christmas tree and candy cane. Children love to hear these types of stories. And, what a great way to weave the scriptures into the Christmas festivities! the evergreen tree is symbolic of the eternal life offered to Christians through faith in Christ. A star signifies the special star which guided the wise men to Bethlehem. Lights represent the Christ, the “Light of the World”. Jesus Christ, who brings Hope, Love, Joy and Peace. 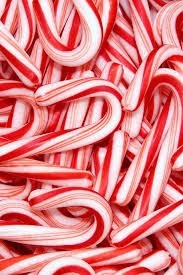 The candy cane begins with a stick of white candy. The white symbolizes the purity of the Christmas season. The color red stands for the blood shed by Christ on the cross so that we may have eternal life. Stripes: The large stripe reminds us of the cross on which Jesus died. Three stripes can also remind us of the Holy Trinity- Father, Son and Holy Spirit. The Cane is like a staff used by shepherds in caring for their sheep. we can think about our Heavenly Father’s sweet love for us!